I’m still dreaming of colder weather and a trip to the shops this week hasn’t done anything to ease that! A browse in the shoe shops which was supposed to be me looking for pageant shoes turned into me wanting to buy about 65000 pairs of boots. Before I share my favourite boots at the moment, I just want to add a quick disclaimer about my links to shopping sites. For this particular post, the only shopping site I get any sort of compensation from is ModCloth. As an affiliate, I get a tiny commission if you purchase something after clicking through to their site from my blog. This doesn’t affect your sale, the price of what you buy or anything like that, it just gives me a little love for passing you on. When it comes to ModCloth, I spend a lot of time looking through their very extensive site, and I love sharing the awesome stuff they stock, so the commission is really just a bonus. I’m affiliated with a couple of sites, and all of them are listed in the sidebar. If you’re considering buying from any of these retailers, I’d love for you to show that you’ve come via my blog by clicking on the banner ads (and that doesn’t mean you have to buy what I’ve recommended either, just click the link and your browsing experience will be exactly the same and you can buy whatever you like!). And that’s all I’ll say about affiliate programs for now. For the other sites, these are just boots that I’ve found by trawling through websites and wanted to save you guys some of that trawling time! I actually have a pair that’s very similar to this, and they’re comfy and great for rainy days. They scream tough girl and would go great with tights or jeans, but I actually like the contrast of wearing them with pretty dresses. I love lace up boots, I think they look best with my coloured tights. These are super cute and a good neutral colour. I have absolutely no idea where I’d wear these, but aren’t they pretty? 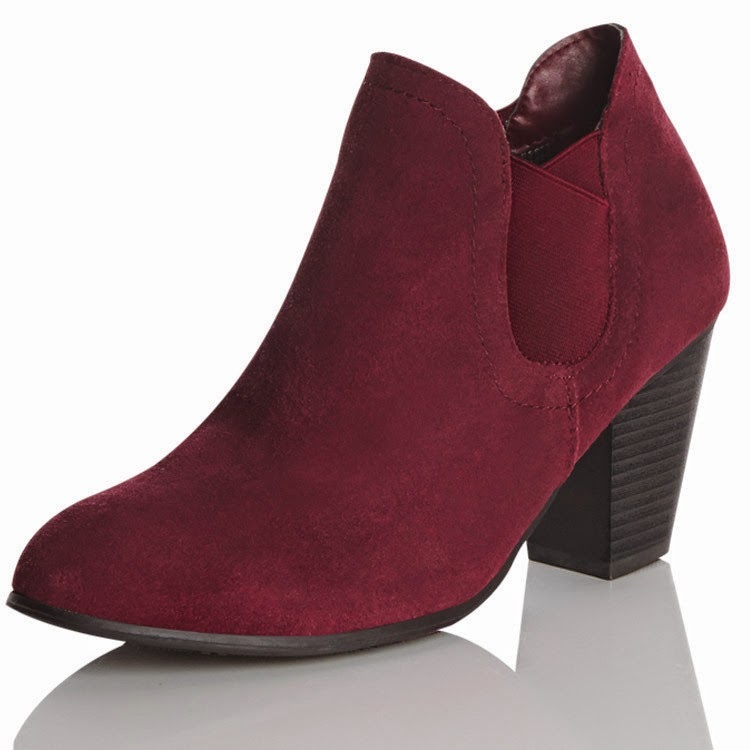 These berry boots would look so great with mustard tights! I think I might have to get a pair. God I love Docs. When I was twelve I begged my parents for a pair of Docs. Mostly, I wanted them because everyone else had them, but I promised my mum if she got them for me, they would last. In general, we didn’t ever get to keep up with the Joneses, but for my thirteenth birthday, I got the best pair of shoes ever, black Docs. I’ll turn 33 towards the end of this year and guess what? I still wear those Docs. So yes, Mum, I didn’t lie, they really did last.Unfortunately, I don’t think modern Docs are made in England any more and the quality isn’t as good. But the prints? Are fabulous. I tend towards brown or grey boots over black with long ones because I feel they can look a bit heavy. That’s just personal opinion though, and all this being said, I do tend to wear the boots I bought for my Black Widow costume a lot during the winter with all types of dresses. I think it’s whatever mood strikes me when I’m getting dressed, really. I really like slouchy boots, and these ones might make it onto my shopping list. These tan boots look like they would be soft and lovely! What I have found in the shops this year (so far, it’s only early days in the season yet), is that there aren’t a lot of tall boots around. I wonder if they’re not as popular? Would love to see your boot styling, or hear if you buy anything I’ve recommended!